Our aims have altered over the years, as would be expected with any organisation that has lasted for 40 or more years, just as society has changed we have had to change too, but not to the detriment of our art. However our ethics have not changed, we still want to give members training with us true Ju Jitsu and Kobudo just as our teachers did all those years ago. The training syllabus for adults is a tried and proven one covering all aspects of Ju Jitsu and Kobudo. It is straightforward and dynamic and leads members into the further advanced regions of the art. It develops character and awareness while at the same time improving confidence and well being. Although Ju Jitsu is a system of self defence, there are those that enjoy competing, and with our colleagues from abroad, we have devised a system where this can be done. From very small children, 5 and 6 years old, to adults of 40 or 50 plus. If members wish to compete they have that facility as well, both here in the UK and overseas on our many visits to other countries. Competition is not compulsory, it is only for those who wish to take part, but we do try to encourage everyone to support those who do. All club coaches are drawn from the association and have been coached in all aspects of the art. They are qualified to NVQ (National Vocational Qualification) through MASA and City and Guilds. They are all qualified First Aiders and all take annual CRB enhanced disclosures, just like school teachers. The association is fully insured, as is every coach and member. MASA is the Martial Arts Standards Agency, it is a National organisation and facility provider for martial arts clubs and associations. It provides advice and training in all aspects of running martial arts clubs from NVQ’s to insurance, Coaches Development Training, CRB disclosures, Publicity and Accounting. 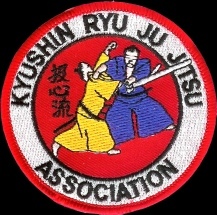 Kyushin Ryu Ju Jitsu Association are founder members of MASA. Finally, as we were founded in 1973 we have grown together much like a family, Sensei Roger Wilkes, our founder has been involved in martial arts for 50 years this year, and Sensei Sid Martin has run the West Sussex club for the last twenty years. Our social events are open to everyone, as are our numerous visits to colleagues abroad, you are most welcome to join us as well.